Key stakeholders, regulators and investors in particular, are weighing on the topic of materiality. As such, one question that organizations need to consider is: where is materiality heading in 2019, and how will stakeholders influence my organization? The debate around the responsibility the US Financial Accounting Standards Board (FASB) and the International Accounting Standards Board (IASB) have for setting standards for non-financial information. If the two organizations decide to expand their mandate to the non-financial domain, this would have a dramatic effect on materiality and corporate accounting. Indeed, “through legislation and regulation, almost every listed company in the world must conform to one of these sets of standards” – it has been confirmed during the debate at the Oxford Union. 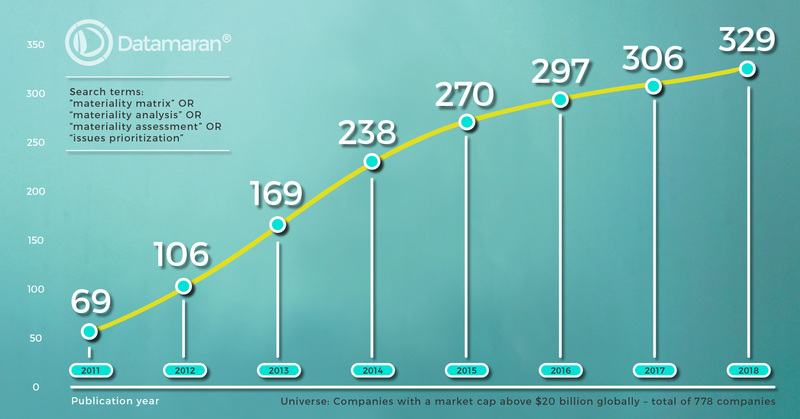 This graph comes from Datamaran – the global leader in Software as a Service (SaaS) solutions for non-financial risk management. It shows the number of companies with a market capital above $ 20 billion disclosing on their materiality assessment in their reports. 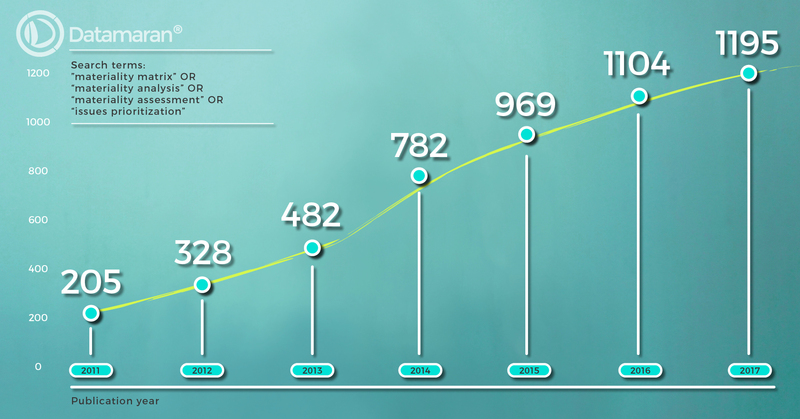 It is clear that there has been an increase in the number of companies doing this, from just 69 companies reporting on materiality in 2011 to 329 in 2018. However, some may argue that corporate reports are not a forward-looking source, and as such, that this trend is not a clear indicator. Let’s dig deeper. 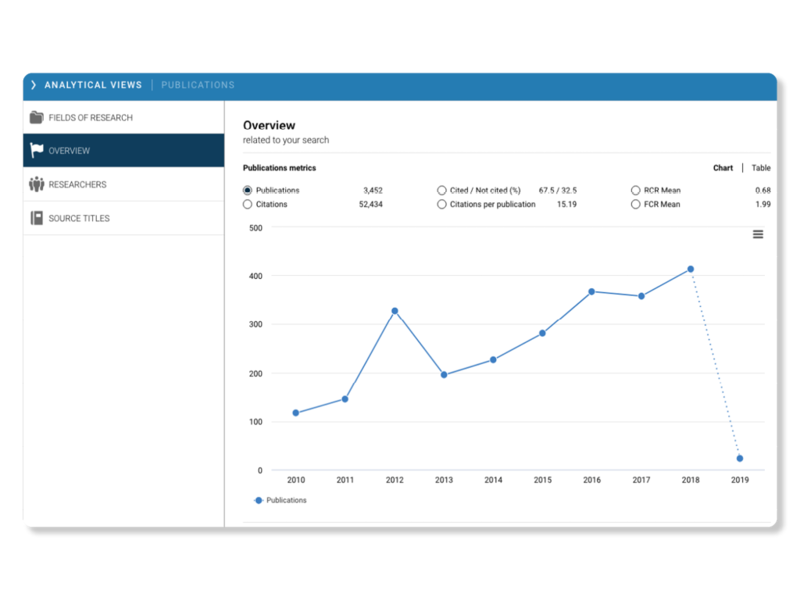 The graph below shows the number of academic publications on materiality from the management and accounting field. Looking at academic research is a good way to anticipate what practitioners will focus on in the next 6 to 12 months. As the graph shows, research on this topic increased fairly steadily over the last five years. Companies are increasingly transparent about their materiality analysis. Materiality will be front and center in defining corporate accountability, risk identification, and strategy in 2019. It’s not just about a fancy visualization in a report any more. Regulators and investors are focusing on the quality of materiality analysis, going beyond ticking the “a materiality analysis has been carried out at least once in the last five years” box. Scrutiny from these stakeholders is changing the materiality analysis process fast. Policy makers from the “traditional” accounting domain are exploring how to extend their mandate into the non-financial field. This entails a change in the current approach, moving more towards comparability, robustness and standardization. Uncertainty is the new certainty. Policy makers and investors are stepping up their game. By carrying out a yearly data-driven materiality analysis, an organization can define its corporate accountability, risk identification and strategy, and therefore stay ahead of the competition. Where is your organization in its materiality journey? How often do you undertake the analysis? Is your board aware of these larger trends? Do not let your organization lag behind. 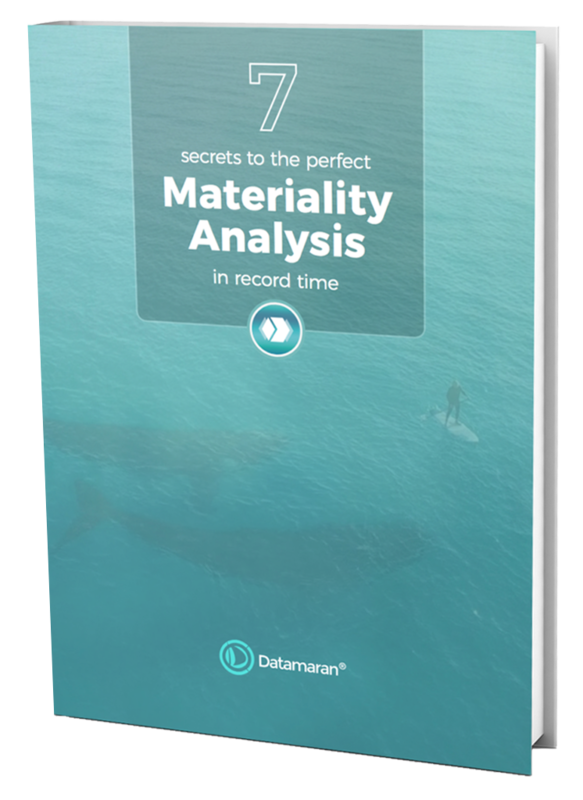 Whether you have done your assessment before or only thinking of starting your first one, with seven key insights you will be able to create the perfect materiality analysis for your organization.